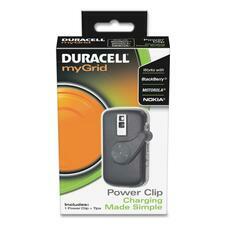 Power Clip is part of the Duracell myGrid Charging System. Simply attach a Power Clip onto your mobile device and then place them on myGrid charging pad (sold separately) for drop-and-go charging. Charging requires no cords between the device and the charger. Power Clip includes three tips for easy attachment to cell phones with mini-USB ports. USB tips are compatible with Blackberry 8800 Series, Bold Series, Curve and Pearl Series; Mini USB tips for LG AX300, Chocolate, Dare, enV2, 3, VX5500, Xenon; Motorola Adventure 750, MOTO Q and Razr Series, W370, W385; Nokia tips for 2610, 6061, 6085, 6205, 6555, and E71. Power Module features four standard outlets to power up your devices. It attaches to the underside of your worksurface for convenient cord management. The 10' long cord provides a convenient length for versatile workstation placement and sturdy, steel casing. Mounting hardware (four screws) is included. Jump-starter battery pack charges your phone, jump-starts your car and fits in your pocket. Battery pack holds enough power to jump-start four to six-cylinder cars, boats, trucks and motorcycles. USB connection lets you also charge smartphones, laptops, tablets and speakers. The 12-volt pre-charged 6,000 mAh battery fully charges in 1.5 hours. 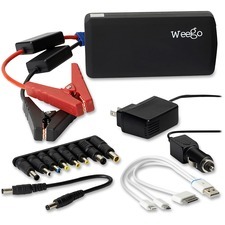 Battery pack provides more than a thousand charge cycles and is guaranteed safe to be used with shockproof cables. It automatically turns off to save you energy when forgotten. Small enough for the glove box, center console or your pocket, this black, soft-touch finish battery pack is designed to fit conveniently in most places. Jump-starter battery pack charges your phone, jump-starts your car and fits in your pocket. 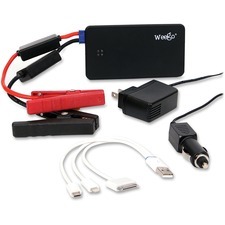 Battery pack holds enough power to jump-start four to eight-cylinder cars, boats, trucks and motorcycles. USB connection lets you also charge smartphones, laptops, tablets and speakers. The 12-volt, pre-charged 12,000 mAh battery fully charges in just 1-1/2 hours. Battery pack provides more than a thousand charge cycles and is guaranteed safe to be used with shockproof cables. It automatically turns off to save you energy when forgotten. Small enough for the glove box, center console or your pocket, this black, soft-touch finish battery pack is designed to fit conveniently in most places. 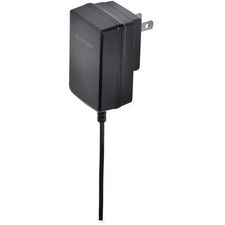 Give your mobile device a fast charge with this wall charger. AbsolutePower technology automatically recognizes your device to safely deliver the maximum amount of power for faster charging. The removable plug blades easily detach for easy packing in your travel bag. 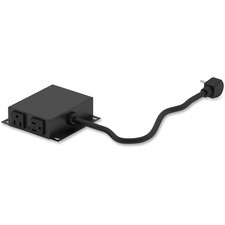 Lightning connector is designed for use with an iPad with retina display, iPad mini, iPhone 5, iPod touch 5th generation or iPod nano 7th generation. 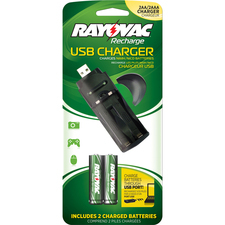 Rayovac PS19-2B GENA 2 Position USB Charger - Input connectors: USB - 2 Rayovac Ready-To-Use USB charger chargers 2AA or 2AAA niMH batteries. Compact size for easy compatibility. Comes with 2AA NiMH batteries. 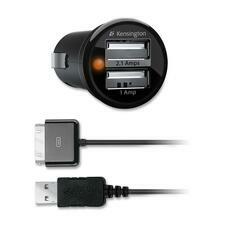 Ultra small and lightweight duo car charger charges your iPad, iPhone (OS3.0 or later), iPod and newer Apple products. Features two USB power ports and an LED power indicator. Detachable USB cable charges and syncs from your computer or your car. Desktop charger station features a two-port USB charger, surge protection and auto power shutdown. Design features a beveled panel with skid-resistant surface, and grooved, cable holes to provide a clutter-free environment. 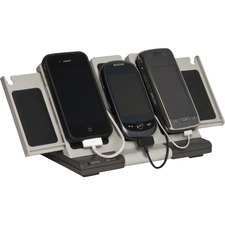 Charger station is foldable for easy storage and has two sliding panels for additional space. Technical specifications include 15 amp, 125 volts and 60Hz. 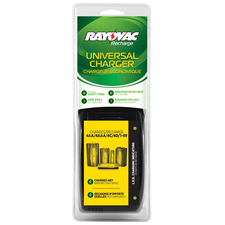 Rayovac PS202 GEN Universal Battery Charger - 4 Rayovac Universal Charger charges all battery sizes: AA, AAA, C, D and 9V. Charges any NiMH batteries. Either 4 AA, AAA, C or D's or 1 9V at a time.